American and Canadian friends have recently being celebrating “Thanksgiving” a day of giving thanks for the blessing of the harvest and of the preceding year. As generations have moved away from the land and into a facer paced life not connected to the seasons I pondered on gratitude. In a stressful moment, it’s hard to see positive forces when obstacles and fears are looming. This however is a good time to be grateful. Not grateful for the problems, but appreciating what isn’t an issue for us right at this time. Gratitude helps us see our situation is a way that can lessen panic and could open up our thinking to new solutions. 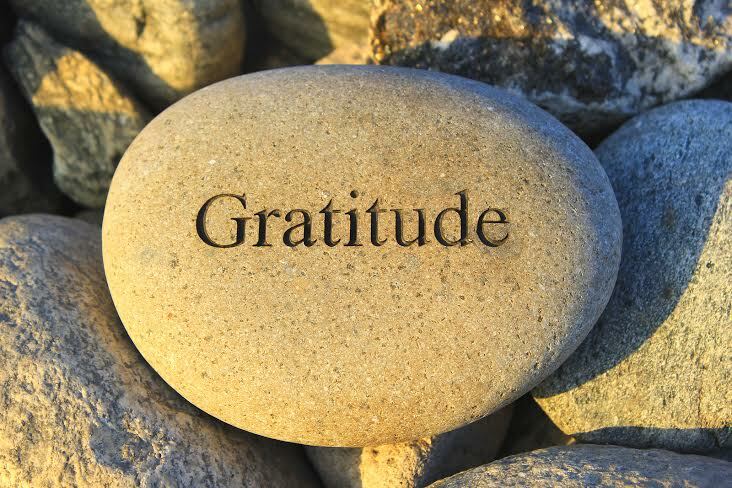 Thing is, people aren’t often hardwired to be grateful and like any skill worth having, gratitude requires practice. It is often true that those with the least give more and are truly grateful for the little they have and can share. My work here in Bahrain with the ‘Feed the Need’ project; giving free food to the hungry, has reinforced that statement time and time again. Those who earn the least are giving the more in donations of food. Our 6 year old daughter who is learning to count various currencies is now aware that the cost of a coffee and a muffin at a café for us can feed a family for a day. It’s that awareness that teaches her gratitude and empathy, two invaluable attributes for a future generation. It is impossible to wage war on those we value and understand. How do we promote this understanding in our children? We demonstrate it. We become the person we want them to be. Children love to copy adults and love to give to others; it’s a natural instinct before we hammer it out of them by our own selfishness and lack of self-worth. I remember taking our then 3 year old to see a kids stage show in a Dubai mall. When we arrived it was the only day the show wasn’t performing but the colourful stage was set up. She grabbed the flyer for the show full of pictures and was in love with the stage. She kept repeating over and over “oh thank-you for bringing me Mummy, I love it.” Such joy in what we saw as a disappointment. “Keeping up with the Jones’s” purchasing more stuff to fill our emotional needs in an endeavor to build self-worth is futile. Give yourself and your children the gift of gratitude, to be thankful for what you have and see others as an example rather than competition. We know giving of our time to our children is more valuable than cash. It’s the same for the elderly and the incapacitated. Providing the basic need of food to our community is a perfect place to start. Taking flowers to the hospital or reading to patients is a wonderful gift requiring little than your time. Practicing gratitude makes us happier! As I tuck my child into bed, with the knowledge that the medicine the doctor prescribed will cure her blocked nose by morning, enabling her to breathe, I think of those that can’t afford medicine or a visit to the doctor. Those parents that are separated from their families for years in order to earn enough to feed, clothe and occasionally educate them back home. As a Mother, I can’t imagine a greater pain than holding your suffering child, knowing there is medicine to cure them and having no hope of getting it. I am thankful and sleep peacefully. Being grateful opens up the flood-gates of contentment and aids physical and emotional healing; a gift you can give yourself. Keeping a gratitude journal, briefly noting what we are grateful for on a daily basis is a wonderful place to start. It’s a fantastic method to help our kids and they love it. Even if they are too young to write, they can draw a picture of what makes them happy, a pet, cake, a friend or even broccoli! So as you slip between laundered sheets on a comfortable bed, with a full stomach spare a thought for those that do not. Be grateful, be thankful and ponder on what you may do to share your good fortune with others and be a shining example to your children and the community in general.